This week's Free GM Resource is a little late getting out the door due to this GM's need to go to an interview and get in a little Xmas shopping. Not an excuse.....just an explanation. HeroMachine is this great online character portrait generator. I've used HeroMachine much more as a player than a GM, but the beauty of HeroMachine is the fact that you can save the character's physical parameters as a text string, allowing you the ability to come back in at a later time and load up your creation. Once you've built your character you can save the text string and then make minor changes, saving the results as another text string. 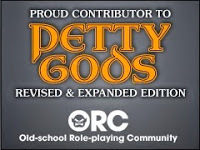 This lets you go back and re-visit the character at a later time and if you know what you are doing, even make character changes by editing the text. Most people will just use the program to make changes though. Once I'm done I usually do some minor work to create a shadow of the character, lay it out onto a strip, and print it out at the local photo printing place. 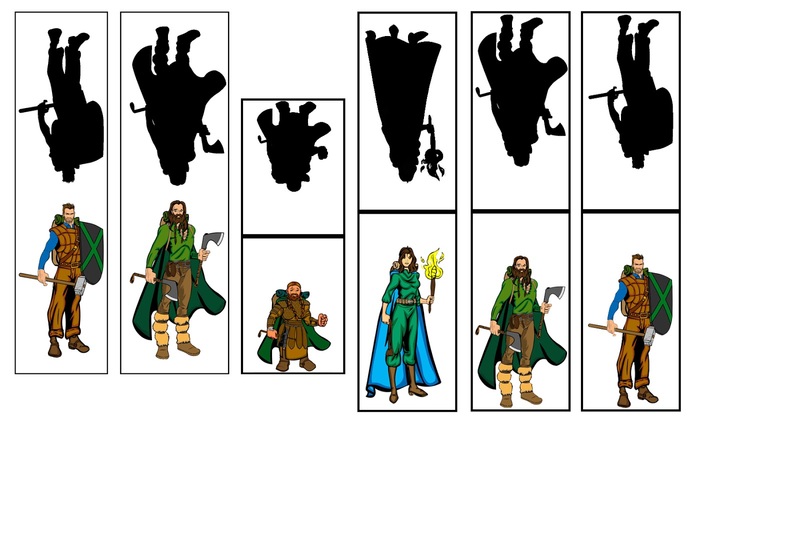 When you can get a 4x6 for under 20 cents, you can print out a number of high-quality paper minis on the cheap. 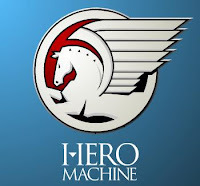 I highly recommend HeroMachine. You can make great paper minis fast, cheap, and just the way you want them to look. The group above took me about and hour of fiddling around (I tend to take a lot of time when working with my PC) and thirteen cents of printing.......13¢! I spent a lot of extra time in Photoshop playing with Balen here....but it was faster than finding a metal or plastic mini I liked, customizing it, and then painting it. A lot cheaper too!